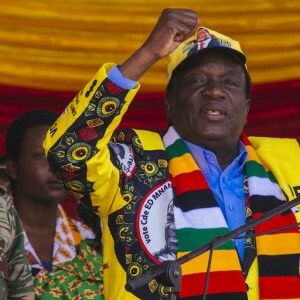 Did Emmerson Mnangagwa win Zimbabwe’s 30 July presidential election? Not according to the MDC Alliance and its presidential candidate Nelson Chamisa. Even before the official results were announced, which gave Mnangagwa 50.8% of the vote to Chamisa’s 44.7%, the Alliance claimed that they had polling station returns (V11s) showing a ‘resounding’ victory for Chamisa. Yet when the matter came before the Constitutional Court, it appeared that Chamisa had all but abandoned this claim. After the court case, several thousand V11s were posted online. A check of a random sample of the several hundred listed in the court petition proved ZEC’s numbers accurate in each instance and Chamisa’s claim false. This could be why none of these V11s were presented to the court and the claim not advanced with any enthusiasm. There were 40 000 more votes in the presidential poll than in the parliamentary, Chamisa alleged. However, apples were being compared with pears – the total votes cast in the presidential poll with total valid votes cast in the parliamentary. Furthermore, ZEC admitted that they had inadvertently omitted (without affecting who had won) 19 000 votes in a single constituency from the parliamentary tally. The remaining difference is easily accounted for by spoiled ballots omitted from the Alliance calculations. However, Chamisa pointed out other indisputable discrepancies in ZEC’s figures, compelling the electoral management body to revise the margin of Mnangagwa’s win downwards to a wafer-thin 31 000 votes above the absolute majority of 50% plus one vote required to avoid a run-off (50.67%). Some of ZEC’s admitted ‘errors’ were of the same order of magnitude as Mnangagwa’s margin of victory – five figures. With these errors exposed only through Chamisa’s court action, what confidence could the public have that there weren’t other discrepancies in the tabulation which would have taken Mnangagwa’s tally below the threshold required to avoid a run-off? If a run-off had taken place, Chamisa would have looked like a possible winner, gained greater financial backing than he had in the first round, and the momentum would probably have carried him to victory. Having admitted significant errors in the tally, ZEC should have shored up confidence in its final figures by subjecting the count to an independent audit. That it didn’t, suggests that ZEC feared what such an audit might reveal. Although Chamisa’s claims on the numbers were easily discounted, the Constitutional Court was also reluctant to address them. It dismissed all his arguments on account of the failure to put evidence in the form of the V11s before the court – though several of the claims of manipulation didn’t rely on the returns. The odd failure to adjudicate on the substance of Chamisa’s clearly dubious claims left the door open for the Alliance to continue to dispute Mnangagwa’s win. The Alliance strategy has been ‘to declare victory early and not to stop declaring it’. MDC legislators walked out of Parliament last Tuesday as Mnangagwa gave the official opening address, stating that they would not stay and listen to an ‘illegitimate’ leader. In this way, Chamisa and the Alliance hope to remain relevant. Their argument is that Mnangagwa must be accepted as legitimately elected before desperately needed foreign investment will flow into the country. As the Alliance would have it, since Mnangagwa’s victory is questionable due to ZEC’s dodgy numbers, only the Alliance can confer that legitimacy. Mnangagwa, then, needs to accommodate the Alliance. ZEC’s results spreadsheet has been subjected to intensive scrutiny by numerous MS Excel ninjas intent on securing the glory of ‘exposing the fraud’ and by academics and political analysts who predicted a Chamisa win. The latter have the uncomfortable choice of either admitting that their analysis was wrong or claiming that the numbers were fiddled. With so many having failed, despite considerable effort, to prove fraud, Mnangagwa probably did secure just enough votes to avoid the run-off. Unfortunately, when one is considering the legitimacy of a president, as the Alliance tactics have shown, ‘probably’ is just not good enough.